This product can be used at the end of each English unit, as a review before the English STAAR test, or as an end of the year review. The students will go through their notes and list all concepts they learned. 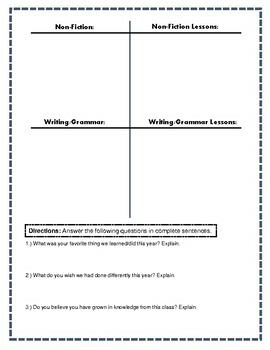 Students will also recall some lesson "highlights" over each topic. 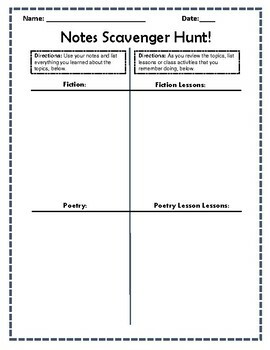 For example, students may write down stories they remember reading in the class or a particular activity that stood out to them.